Since of the beginning of his 2016 presidential campaign, Donald Trump has made one thing very clear, he intends to build a wall at the border of the U.S and Mexico. 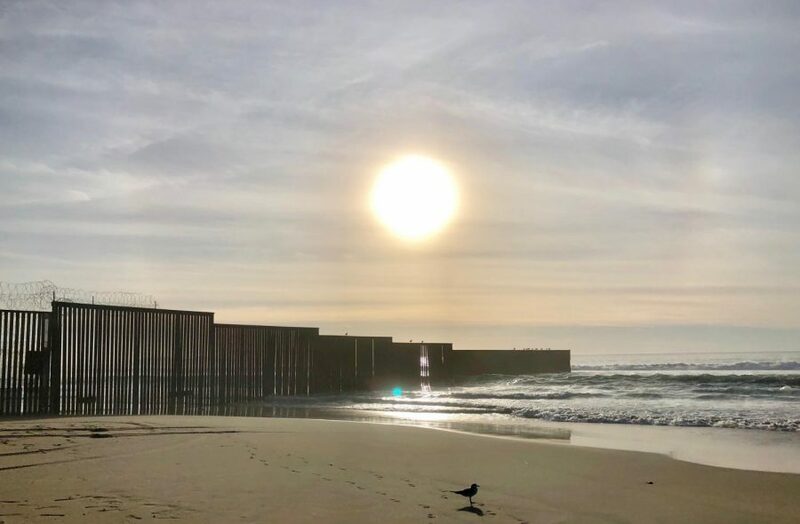 This wall would be a means of border security, protection for the American people from the so-called rapists, gang members, and murders that lay beyond. Despite his promises to have the Mexican government pay for the construction of the wall, he has failed to obtain the necessary $5.7 billion in funding. Just over a month ago, The President shutdown the government demanding that it would not be reopened until Congress grants him the money. And although negotiation attempts have been made, they have to lead to little progress. Earlier this month, The President even walked out of a meeting with congressional Democrats calling it, “a total waste of time.” But like most things Trump does, the government shutdown was done out of impulsiveness and bad judgment. His ill-advised temper isn’t the most detrimental issue at hand though, the real issue is that 800,000 federal workers have been without pay for just over a month now. And the fact our president made this happen over an unnecessary and inadequate form of border security, is something that truly scares a lot of us to the bone. Of the writing of this article*, the government has been shut down for exactly thirty days. Meaning that the federal district court has officially run out of funds, our food has gone uninspected, national parks have been open without staff, some small business owner’s loans have been frozen, state and local farm services centers have been closed, enforcement for fair housing has been delayed, funding for the violence against women’s act has been stopped, and all federal court cases have been stalled, all for the past 30 days. All in all, 800,000 people without work, without pay, without food on the table for their families. The White House announced last Wednesday that The President signed a bill providing back pay to federal employees through the Government Employee Fair Treatment Act of 2019. Meaning that government employees will be paid, but not till the shutdown is over, this, the white house said,”requires the compensation of government employees for wages lost, work performed, or leave used during a lapse in appropriations that begins on or after December 22, 2018, and entitles excepted employees to use leave during a lapse in appropriations.” And while a good step forward and definitely well deserved, what happens until then? This 2019 government shutdown has already become the longest in American history, leaving many people feeling like an ending might not come soon enough. Coast Guard members are turning to food banks to keep their rooves over their heads. But rather than offering to fund for federal workers and their families, or deciding to reopen the government, President Trump is threatening a national emergency. I have the absolute right to declare a national emergency. I haven’t done it yet. I may do it. If this doesn’t work out, probably I will do it. I would almost say definitely,” he told reporters, vowing to bypass Congress if a compromise cannot be made. And while the National Emergencies Act of 1974 allows the sitting president to activate special powers during a time of emergency, Congress can also undo said a state of emergency declaration. The real question at hand is whether the border wall is worth this kind of extreme measure. *since the writing of the article, both chambers of Congress has passed a bill to temporarily reopen the government.